Take Pennsylvania streets by storm when you get the keys to a 2018 Audi A4. 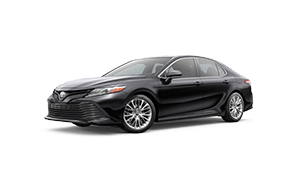 This sleek sedan will improve your commutes and road trips alike, whether you’re traveling alone or with a crew. 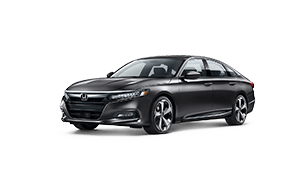 If you’ve been thinking about buying a new sedan, forget about options like the 2018 Toyota Camry, 2018 Honda Accord and 2018 Chevrolet Malibu. Even if you buy the highest trims of those economy models, you’ll have access to fewer amenities than if you opt for the newest Audi A4. Come buy a new Audi A4 at our Conshohocken Audi sales center! 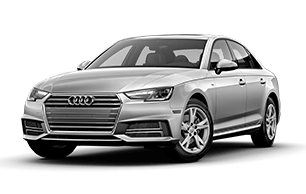 The 2018 Audi A4 Premium 2.0 TFSI® is equipped with a powerful 2.0-liter engine that outputs 252 horsepower and 273 pound-feet of torque, which is delivers more power and precise handling than the Camry XSE, Accord Touring or Malibu Premier offer. Plus, the 2018 Audi A4 allows you to tackle winter weather and rocky roads with ease, as it comes with legendary quattro® all-wheel drive, an important feature not offered in the other three models. Perhaps most importantly, buying or leasing an Audi can help you save money in the long term. The A4 has the longest limited warranty coverage and maintenance warranty coverage, ensuring your investment is protected for up to four years or 50,000 miles, whichever comes first. When you buy a Toyota Camry, Honda Accord or Chevy Malibu, you’ll end up paying, on average, up to $2,000 in maintenance costs over the course of four years. Don’t forget to explore everything else the 2018 Audi A4 has to offer including comfort and convenience amenities, as well as innovative driver-assistive safety technologies. Learn more about the difference luxury can make, then contact us to schedule a test-drive near Conshohocken, PA. We’ll bring a 2018 Audi A4 right to your home or office, so you can experience its superior performance firsthand.